Chapter 13 bankruptcy has a lovely thing called a cramdown. It allows you, in certain situations, to reduce the balance of your car loan (and loans on other secured property) and pay lower interest on that loan. Here’s how it works. Often, your car note is no longer fully secured by your car. This happens because cars depreciate quickly. For example, say you buy a car in 2010 for $15,000. You get a loan for $15,000, which is secured by the car (which means if you default on the loan, the lender can take your car to cover the amount you still owe under the loan contract). Now it’s 2011 and you owe $13,000 on the car note, but the car is only worth $10,000. Because the lender’s loan is no longer fully secured by the car (only $10,000 of the loan is secured), $3,000 of that loan is unsecured. What about the remaining $3,000 in the above example? 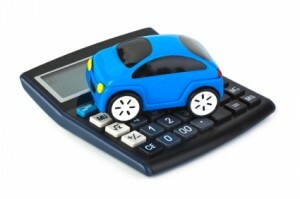 The amount of the loan that is no longer secured by the property (your car) is reclassified as unsecured debt. It’s added to your other unsecured debt, which you pay off over time through your Chapter 13 repayment plan. Most debtors pay only a portion of their unsecured debt over the life of their plan – which means you’ll most likely pay much less than $3,000. There are two catches: You must pay the new loan balance by the end of your repayment plan. This would give you either three or five years (depending on how long your plan lasts) to pay the balance. And, you can only use a cramdown on cars you purchased at least 2 ½ years before filing for bankruptcy.